Superior Replacement Windows servicing Sun City, Arizona is a family owned and operated glass company offering professional window repair and installation. Whether you need custom windows installed or want the energy savings and sound protection offered by a new triple pane window, you can be sure that our expert window installers and glaziers will be able to handle the job quickly and professionally. Whether you own a home or business in Sun City, Arizona, heating and cooling costs can play a major role in your monthly expenses. Having energy efficient windows that insulate your building envelope is an essential part of keeping costs to a minimum. Windows also provide sunlight in the winters and may need to be tinted to keep out the summer rays. 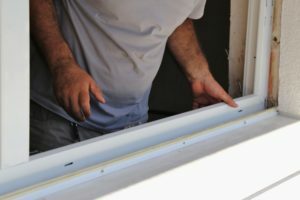 These are all considerations when discussing the type of window you need repaired or replaced. Superior Replacement Windows will match your current windows or install complete replacements depending on your needs. As one of the top window suppliers in Arizona, we have a large selection of windows to choose from. Call Our Professional Glaziers in Sun City! While Sun City offers a great location for many retired individuals, it is also a great place to relax and just enjoy the mild weather and beautiful scenery. Whether you live year-round in Sun City or you come to spend your winters in a warmer climate, keeping your windows in good repair is important to your overall comfort as well as ensuring utility bills remain affordable. We offer a budget saving “best price” guarantee as well as free in-home estimates. We know you want the very best window service and products and you can count on us to deliver every time. From fast, professional installation of new windows to glass shower doors and window screens. Of course, if you own a business in Sun City, you certainly want to make sure your business looks well-maintained and is able to provide a pleasant atmosphere for your customers. Glass walled offices and conference rooms can give your office an open and transparent feel that customers trust. At Superior Replacement Windows we offer professional window repair and installations services in the Sun City, Arizona area. 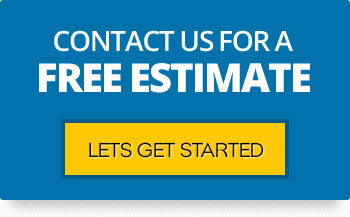 Visit our glass shop today or submit a request online for a free in-home estimate. Superior Replacement Windows has been servicing Sun City for over a decade and has become familiar with this quaint vibrant community. Sun City was established in 1960 by Del Webb and later became an unincorporated town. It is located in Maricopa County within the Phoenix metropolitan area and has a population of about 37,000. In its formative years, Sun City, AZ featured a shopping center, a golf course, a recreation center and at least five home models. The census-designated place is a retirement community. It was the first community for active adults over the age of 55 in Arizona and the United States. Today, the community boasts up to 11 golf courses, more than 26,000 homes, several social clubs and other amenities. Non-golfers can take advantage of a number of recreation facilities, including outdoor swimming pools, card rooms, fitness centers, indoor walking track, racquetball courts, a woodworking shop and more. Residents also enjoy access to a performing arts theater, social hall, a synagogues, two libraries and up to 30 churches. The unincorporated town lies approximately 16 miles northwest of downtown Phoenix. It is within driving distance of the Wildlife World Zoo, Challenger Space Center and the West Valley Art Museum.